How To Enable Or Disable CD Burning Feature In Windows 10:- Let’s say you are the IT admin of a school and you don’t want the kids to bring in CDs or DVDs to copy the game setups from school’s computer systems. You definitely would be pleased if you could just disable the CD/DVD burning feature in Windows, wouldn’t you be? There definitely is a quick solution for this little issue. Since the trick involves changing the registry entries, it is highly recommended that you create a system restore point before going ahead with the following steps. You can refer to our article on the topic How To Create Restore Point. So what are you waiting for? Let’s get started, shall we? Note: If any third party CD burning software are installed in the system, then this trick might not work for them. Press Win+R keys together to open the Run dialog box. When it does, type in regedit and hit enter key. 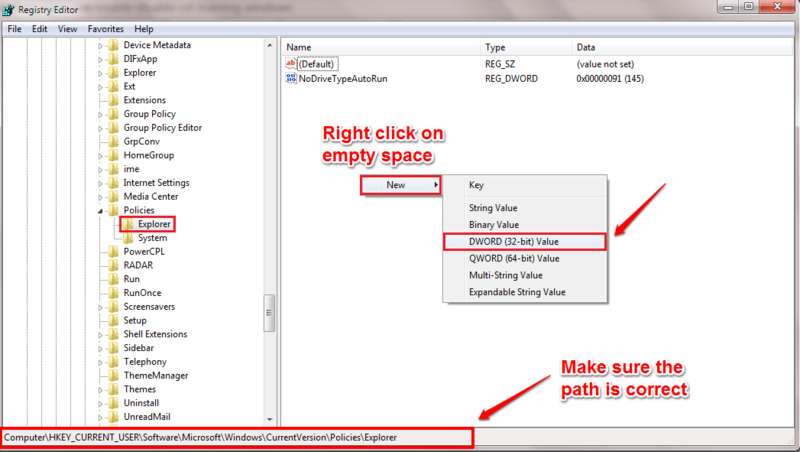 When the Registry Editor window opens up, navigate to the following path. Do make sure the path you have navigated to is correct. Highlight the Explorer key as shown in the screenshot by clicking on it. Now in the right window pane, look for a value by the name NoCDBurning. If you can’t find one by that name, right click on an empty space in the right window pane, click on New and then on DWORD (32-bit) Value. Name the newly created DWORD value as NoCDBurning. 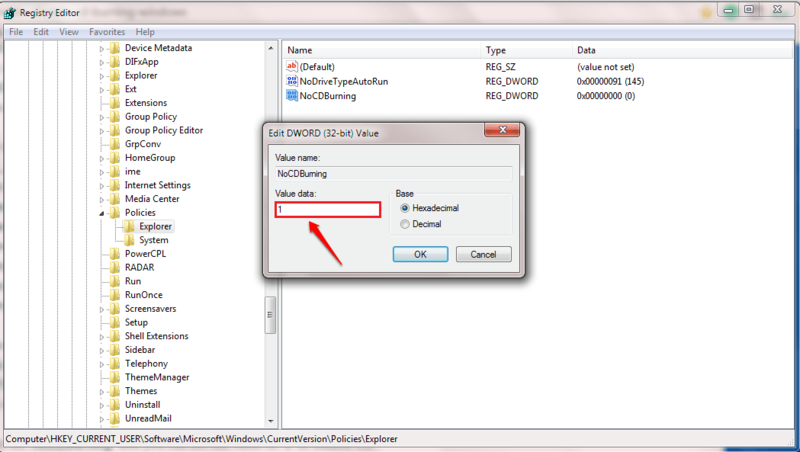 Double click on the NoCDBurning DWORD value to modify its value data. To disable the CD burning feature, make this value 1 and hit OK button. That’s it. Restart the system for the changes to take over. 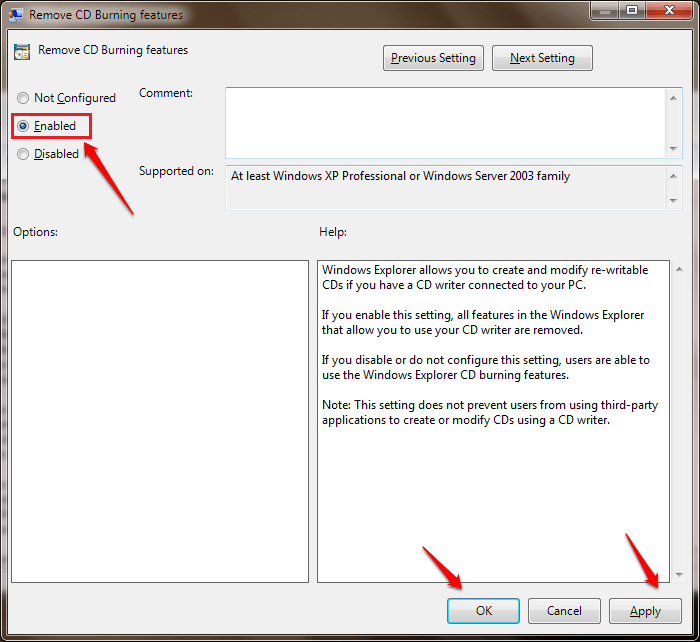 If you want to enable the CD burning feature, simply delete the NoCDBurning value entry. 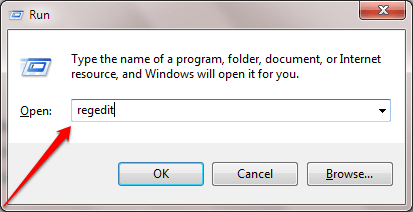 Open the Run dialog box by hitting the WIN+R keys together. When it opens up, type in gpedit.msc and hit enter key. 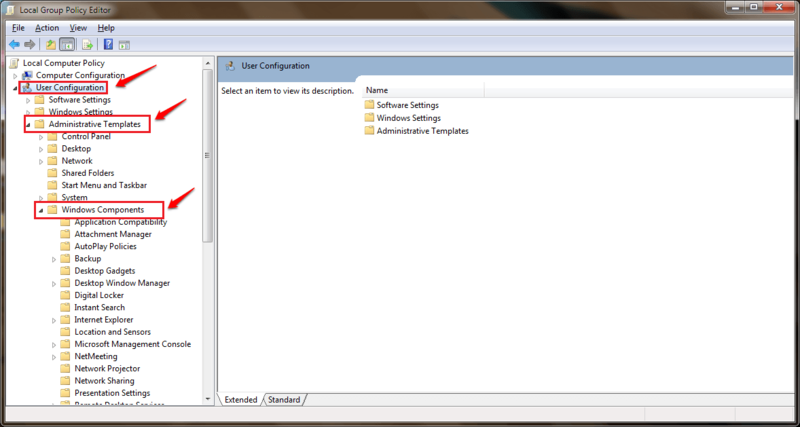 User Configuration-->Administrative Templates-->Windows Components-->Windows Explorer. 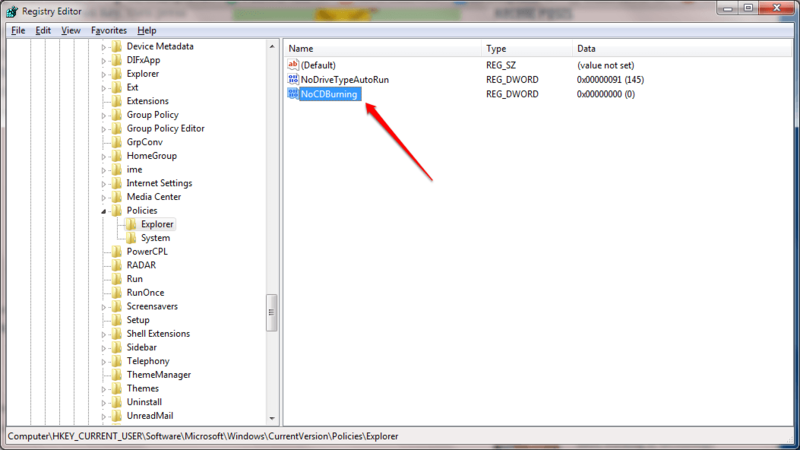 Under Windows Components, there is Windows Explorer. 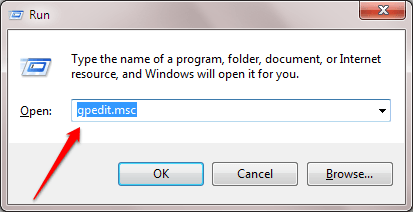 In the right window pane corresponding to Windows Explorer, highlight the option entry by the name Remove CD burning features by clicking on it. Now click on Edit Ploicy Settings link as shown in the following screenshot. To disable the CD burning feature in Windows, click on the radio button corresponding to the option Enabled as shown in the screenshot. Hit on Apply and Ok buttons. That’s it. Restart the system for the changes to take over. Hope you found the article useful. If you are stuck with any of the steps, please feel free to leave comments. We would be happy to help. Stay tuned for more tricks, tips, and hacks.